God as humble….hmmmmm, on one level, the initial reaction of many may be – of course not. God is God – he has no reason to be humble…God is perfect. On another level, consider this…God, in the person of Jesus, was the epitome of humble. Take this passage from John 13:1-20. Maybe the ultimate concept of humility is found in Philippians 2:1-11…where we see that glory, honor, power and status were something of no interest to the Savior of the world. What do you think as you reflect on these 2 passages in the context of God as Humble. Blessings to you as you rest in the Sabbath today. 8/2 Isaiah 13 Job 37 Colossians 3 Craig H.
8/3 Isaiah 14 Psalm 94 Colossians 4 Craig R.
There is a lot that I am anticipating these days. At the moment that I am typing this blog entry, I am anticipating my trip to the Northwoods that is coming up in a couple of days. I look forward to a week disconnected from the rest of life with nothing to do but focus on my family, catch fish, and play some golf. I am anticipating another half marathon in October and the training involved, which will begin in two weeks. I am anticipating the start of yet another school year and all that goes into getting ready for that. I think I am a little more excited for the first two than I am for the third. As much as I anticipate the things I have shared with you above, there is something much more amazing to look forward to in the future. No one knows when that time will come, but it will come nonetheless. The time when Jesus makes his triumphant return and raises up all those who believe to be with him and the Father for all of eternity. As I give thought to that time, these other things that I look forward to are so miniscule. And I think that is why I have to take all of those earthly anticipations with a grain of salt and not overly stress about them. Because in the grand scheme of life and what I (we) have to look forward to, they are unimportant. There is something much greater in store for me, and I can’t wait to see what it will be like. How about you? Isaiah 8 In a nutshell, there is trouble for Damascus and Samaria. Jehovah is with the remnant of true believers. Fake believers will always stumble over truth. Vs 14 is Messianic in nature, but also enduring truth. Psalms 91 There is security for true believers in Jehovah and His Messiah, He will gather them under His “kanaph,” wings,( His hem, His fringe) where they may seek refuge. Jesus used this analogy when he was lamenting over Jerusalem, Matthew 27.31, saying how He longed to gather them together as a hen gathers her brood under her wings, but they were unwilling. In Matthew 9.20, again we see the use of this same concept with the woman who had an issue of blood for twelve years, which according to the Law of Moses made her unclean. So she had to live away from her home, from her family, and from her community. When Jesus came by, she violated the Law, by entering the crowd so she could come close to the Savior. She reached out and touched the hem of His garment and was healed. Malachi 4.2 speaks, “There is healing in His wings,” which this delighted woman found out was very literal. Philippians 2 We are admonished to be like Christ, to be of the same mind as He who gave up everything to become like one of us. 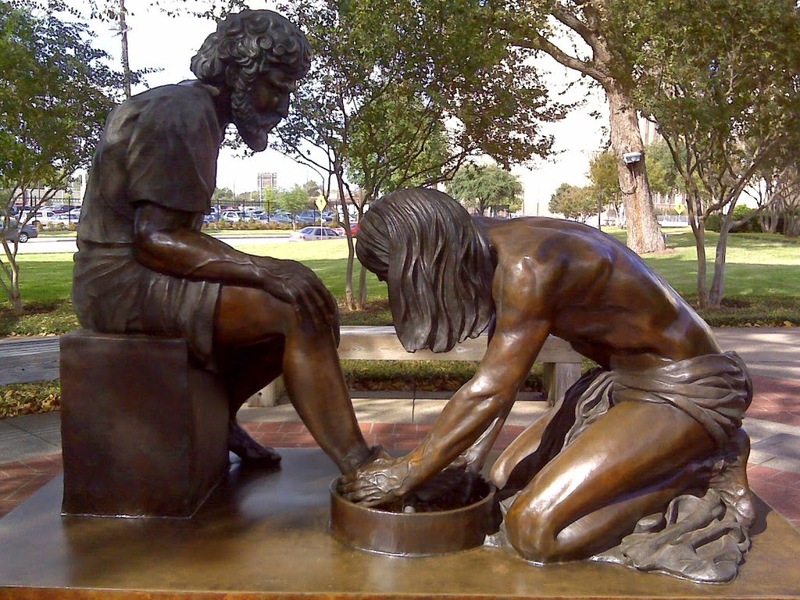 Jesus humbled, or humiliated Himself to become a man, then did it again to die a criminals death. So we see pride has to go if we are to be like Christ. Verse 12-13 if we are true followers, not fake followers, we will “work out our salvation with trembling and fear, for it is God at work in you, both to will and to work for His good pleasure.” 1 Corinthians 15.10 Paul says,” I am what I am by the grace of God,” not what he was, not what he will be, but what he is, then he continues to say, “I labored even more than all of the other apostles, yet not I but the grace of God with me.” Working out our salvation is not apart from God but only with Him. In Galations 2.20 we see Paul saying it is none of him, yet it is all of him. He dies with Christ, yet he lives. Finally in Exodus14.13 Moses, at the shore of the Red Sea told Israel “Do not fear! Stand by and see the salvation of Jehovah.” In verse 15 God says “Why are you crying out to me, tell the sons of Israel to go forward!” In other words quit talking about it, quit standing around waiting for an epiphany, get going, get moving, work out your salvation with actions, and deeds befitting Christ. See what He has in store for you true believers. Review: Syria from Ephraim, that is from and with northern Israel, makes war against Judah and Jerusalem (7:1-2)…The LORD, through Isaiah to King Ahaz of Judah, predicts Ephraim’s collapse and dismemberment within 65 years (7:3-9)…Ahaz is given a sign from the LORD, that is IMMANUEL (7:10-16)…Ahaz is informed that Assyria will eventually overcome Judah and Jerusalem (7:17-25). Analysis: In the OT, Ephraim and Israel are used interchabably. They both refer to the 10 tribes who under Jeroboam (1 Kings 12:16-33) established the northern kingdom in Samaria (1 Kings 21:1)…Around 720 BC, Ephraim was sacked by Assyria (2 Kings 17) because of their sins, it says…Yes, sins have consequences forgiven through the sacrificial Savior Jesus or not…Ahaz not desiring a sign (7:10-13) from the LORD is either a witness to his faith – not wanting to put God to the test, or his lack of faith – not wanting to get involved with God and take leave of his physical securities…Within the Christian context of 7:14, we know who the virgin and Son are…However, to Ahaz this prophecy could be related to his wife the queen giving birth to a male child who will lead Judah to victory over it’s enemies; thus extending his legacy…It’s interesting how cultures, at a times, in all forms and degrees of dilapidation look for a savior…One who, through the strength of his or her character and leadership abilities, will make it all better, bringing heaven to earth…This thinking is the basis of the totalitarian mind-set, that the right gal or guy can usher heaven onto the earth…Alive and well, even here, even now…Democracy says finding a savior is impossible as all are flawed… Some more than others…The best democracy does is struggle, that’s what voting is, with its problems/leaders and find its way by a majority…The problem with democracies can be the majority, when they’ re wrong so is the society…de Tocqueville referred to this phenomena as the “tyranny of the majority”…Faced with these odds, the individual and constituents in the minority within a democracy search for a savior…So, it goes…Our circle, incapsulating the fallen situation (Gen. 3) we find ourselves in, is now complete…Fallen, but still can be very good if each and corporately exercise their dominion to God’s standards (Deut. 30:11-20)…The previous can be viewed as political as anything involving humans can be political as we are social creatures (Aristotle)…By my reckoning, politics trails only religion in importance to an individual and society. Their efficacy direct the direction they go….Better religion and politics necessarily leads to better individuals and societies…The opposite is also true…Complicating matters is the fact that politics and religion through the society are intertwined by way of society…The best of religion should direct the politics, etc…That is why the anti-religious sentiment within the US currently is so troubling…But, I digress…But, I needed to…Since Israel, that is Ephraim in Samaria, is to be vanquished, their fields will languish (7:20-25). Isaiah is worshipping and has a vision of God. And Isaiah is astounded with the glory, holiness and power of the Lord Almighty, while at the same time he is overwhelmed by his frailty as a sinner. Thus, Isaiah is called and sent into ministry with a compelling mission. It’s a most difficult calling and mission, which you can read. Yet Isaiah ended up bringing incredible messages of the promised Messiah and Jesus patterns his ministry after the Messianic passages in Isaiah. The book of Isaiah was very significant to our Savior. Psalm 90 reveals the prayer of Moses, the greatest prophet of the Old Testament. Think of the Exodus of Israel from Egypt and Moses their prophet-leader as you read it. It’s a Psalm of worship. This day I encourage us all, “to Be strong in the Lord, love Jesus with an undying love, and pray in the Spirit on all occasions.” In such worship, love, and devotion we listen for the call of God. Know that the Lord will speak into our lives, your life and mine and anyone who waits upon the Lord. There is a thread that runs through all three of our passages today. Beginning in Isaiah where we find that God’s expectation is that his children would bear fruit. God’s people were to carry out his work and uphold justice. The people did bear fruit…but, the fruit was bad. And, as you might expect, Israel’s fate was not so good. Why is listening to, and for, God so hard? In Job 33, Elihu points out so many times how God had spoken and the various ways in which he spoke…dreams and visions, suffering, etc. Job knows this. Elihu has accused Job of not listening to God…but that was not true. 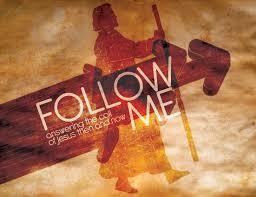 Prayer: Lord Jesus, we hear your words to be a light for others as you call us to follow and serve you. Help each of us to let your light shine through us so that all those around us know your presence. Help us to proclaim more of you and less of us. Amen. Help us remember we are called to one hope and thus called to one body. Help us Lord to recognize what is True in You so that we may be mature and not sway to harmful teachings. Lord, the division of the Early Church has grown and I pray the Holy Spirit fall on the Church. Remind us that we are brothers and sisters in Christ before we are anything else. Lord, may we answer to the name of Christ follower before we answer to any other name (Presbyterian, mother, friend, teacher, etch…). Help us, Jesus, to root our identity in You so that we cannot be shaken when the Enemy comes to whisper pretty temptations or ugly lies. Grant us brotherhood so that we may keep each other accountable. Help us to lift each other up. We thank You, God, that You are Healer, Father, Provider, Sustainer, Rescuer, Friend, and the Great I Am. We stand in awe of Your wonders and we wait expectantly for what You will do next. 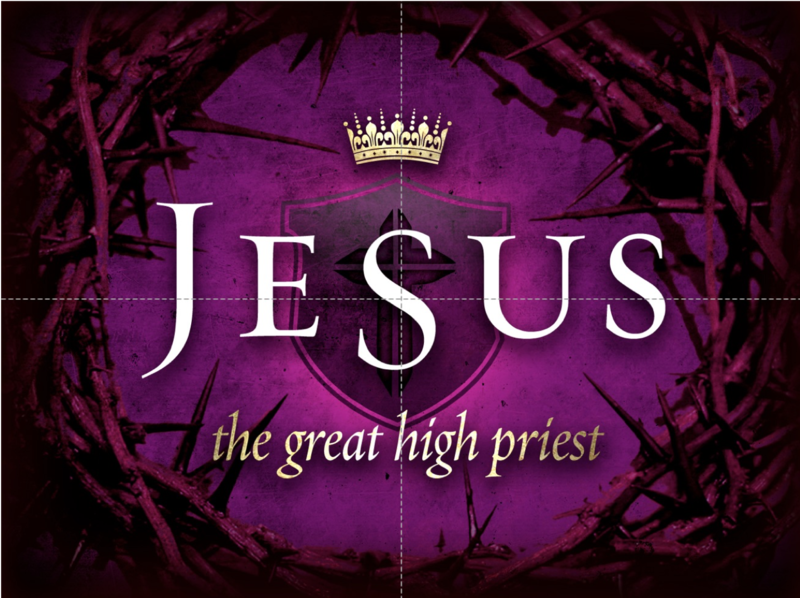 Why do we need a High Priest…why do we need Jesus? One simple answer would be that God is holy and we are sinners. We are not promised a life without obstacles and while we can certainly try and slog through life on our own, having Jesus as our High Priest allows us to live daily at the foot of the cross! Take time today to reflect on Jesus as High Priest in your life. 7/25 Isaiah 6 Psalm 90 Ephesians 6 Craig H.
7/26 Isaiah 7 Job 34 Philippians 1 Craig R.
14 For this reason, I kneel before the Father, 15 from whom every family[a] in heaven and on earth derives its name. 16 I pray that out of his glorious riches he may strengthen you with power through his Spirit in your inner being, 17 so that Christ may dwell in your hearts through faith. And I pray that you, being rooted and established in love, 18 may have power, together with all the Lord’s holy people, to grasp how wide and long and high and deep is the love of Christ, 19 and to know this love that surpasses knowledge—that you may be filled to the measure of all the fullness of God. The past few weeks, had me come back to the Lord’s prayer more often than ever before. And in an interesting way, at least for me, had me question my own prayer life. What do I really pray for? That is one question that has pushed me into this rewrite of my prayer life in a way. Maybe like most of you, I follow a certain model for my prayers, you know … give thanks to God, pray for his will, bring on my needs and so on. Sometimes when I am in a rush just stick with the essentials, mainly needs. But the Lord’s prayer has challenged me somehow. And finding Paul’s prayer in Ephesians has in a way cemented me in my quest to reshape my prayer life. Here is the gist of it: Prayer is not about us, but is about God in us. When we pray we enter a new dimension of our life, a place where God is not just at the center of it but a place that is filled or to be filled by God. Sometimes that is a space of trust, of faith. Sometimes is a place of reliance and resilience. Prayer is really the place where God is working on restoring our lives. It’s like a complete makeover if we allow it to be! That is Paul’s prayer that people will get not only to encounter God but also get to experience the depth and power of God. As one discovers God to make more room for it. Prayer is not about a list or a pattern, prayer is about discovery. So today I pray that you will discover God in your prayer in a new and challenging way.